Oil prices fell slightly on Monday as analysts worry about the long-term implications of the OPEC output cut deal, fearing that OPEC does not have an exit strategy. • The Memorial Day holiday in the U.S. typically marks the beginning of the driving season when gasoline demand picks up. • This Memorial Day, U.S. motorists will see higher prices at the pump. Average retail gasoline prices are up $0.10 per gallon to $2.40/gallon this year compared to a year ago. • Still, current prices are the second lowest (after 2016) since 2009. • Prices vary regionally, based on local conditions, proximity to refining and storage facilities, and taxes. The West Coast has the highest prices while the Gulf Coast enjoys the lowest. 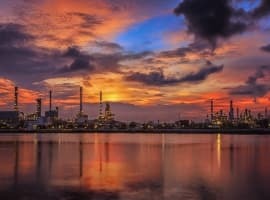 • Royal Dutch Shell (NYSE: RDS.A) and ConocoPhillips (NYSE: COP) announced their intention to sell off $6.8 billion in Canadian oil sands assets after acquiring them just a few months ago. • Anadarko Petroleum (NYSE: APC) is facing criticism because a second well in Colorado has led to casualties. A maintenance worker was killed on May 25 after a fire at a storage tank. In April, an explosion from an Anadarko pipeline in a residential area killed two people. Oil prices fell on Monday on another gain in the rig count, even though it was only a small increase. Analysts still wonder if the soft oil price is here to stay, or if it is short-term “noise.” Even though OPEC extended its production cuts last week, the market had already expected such a move, leading to a selloff in prices. Now, going forward, traders will want to see real and sizable declines in inventories as proof that the deal is working. The one worry is that the longer the oil price fails to rally, the less likely that OPEC will be able to keep all participants complying with their promised cuts. OPEC’s exit strategy. Analysts are also concerned that OPEC has no exit strategy. The cuts work so long as they are in place, but what happens when inventories are back to their five-year average? Will OPEC go back to producing at maximum levels? That could quite possibly crash prices all over again. The lack of a strategy after the nine-month period offset what OPEC thought would have been bullish news when they extended the cuts last week. Goldman Sachs slashed its 2017 oil price forecast. Goldman has been one of the most consistently optimistic voices on oil prices, routinely arguing that the market is heading towards balance. But the investment bank capitulated to poor conditions by lowering its forecast to $52.39 per barrel this year, down from $54.80 previously. Inventories to fall soon. Oil analysts expect that with the OPEC extension finalized, the drawdown in crude oil inventories will accelerate this year. The U.S. has already seen a drop off in storage, but the weekly declines could grow larger. Some traders, according to Reuters, predict that the drawdowns could jump as high as 10 million barrels per week, while those that are more cautious suggest declines on the order of 3 to 4 million barrels. 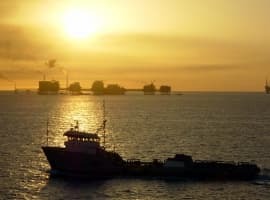 “I think we'll easily get below 500 million barrels over the next six to eight weeks, or eight to 10 to be conservative,” Andrew Lebow, senior partner at Commodity Research Group, told Reuters. That would be down from the record high of 533 million barrels hit in March. Time to buy energy stocks? Energy stocks have been the worst performing on the S&P 500 so far this year, dropping 15 percent as faltering oil prices depressed share prices. But Barron’s argues that the time to buy up energy companies is now, for several reasons. First, the futures market is heading into backwardation, a bullish sign that suggests short-term supply conditions will tighten. Second, energy credit default swaps and high-yield spreads have rallied this year, pointing to strong fundamentals. Third, precisely because the energy sector has lagged the broader market, it is likely to catch up. British Columbia government to go Green; bad news for pipelines. The minority Green Party struck a deal with the left-leaning NDP Party to form a government in British Columbia, ousting the more business-friendly Liberal Party. 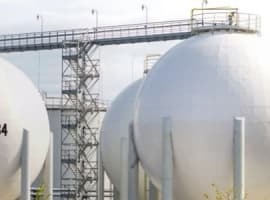 The new government could prove to be more hostile to some major pipeline projects, particularly, Kinder Morgan’s (NYSE: KMI) Trans Mountain Expansion, which will nearly triple carrying capacity from Alberta to the West Coast up to 890,000 bpd. Permian gas could sink prices. Known much more as a gusher of crude oil, the Permian Basin is also set to flood the natural gas market. Natural gas is produced in association with oil, so all of the drilling taking place in West Texas is also leading to a sharp uptick in gas production. Output could triple by 2020, keeping a lid on natural gas prices for years to come. That has upended market expectations from this past winter, when a slowdown in drilling and a structural increase in demand from new power plants appeared to point to a tighter market. Goldman Sachs buys up Venezuelan bonds. The WSJ reported that Goldman Sachs purchased $2.8 billion in bonds issued by the state-owned oil company, PDVSA, providing a desperately-needed injection of cash to the faltering Venezuelan government. Goldman paid 31 cents on the dollar, or about $865 million. The investment bank is facing fierce criticism because its bond purchase is seen as propping up an increasingly authoritarian government guilty of gross human rights violations. Civil unrest is growing by the day, and the country is nearly crippled at this point. ExxonMobil set to face climate resolution. A few weeks after Occidental Petroleum (NYSE: OXY) became the first major oil company to see a shareholder resolution pass, which called on the company to stress-test its climate vulnerabilities, ExxonMobil (NYSE: XOM) faces a similar vote. The annual meeting of Exxon shareholders takes place on Wednesday. Has Big Oil Regained Its Pre-Crash Position?